2018 Top Hat 16' Bar Top Stock. 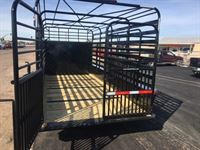 Trailer is 6'6 tall, 6'8 wide & 16' on the floor. 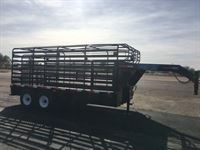 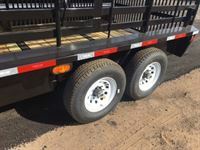 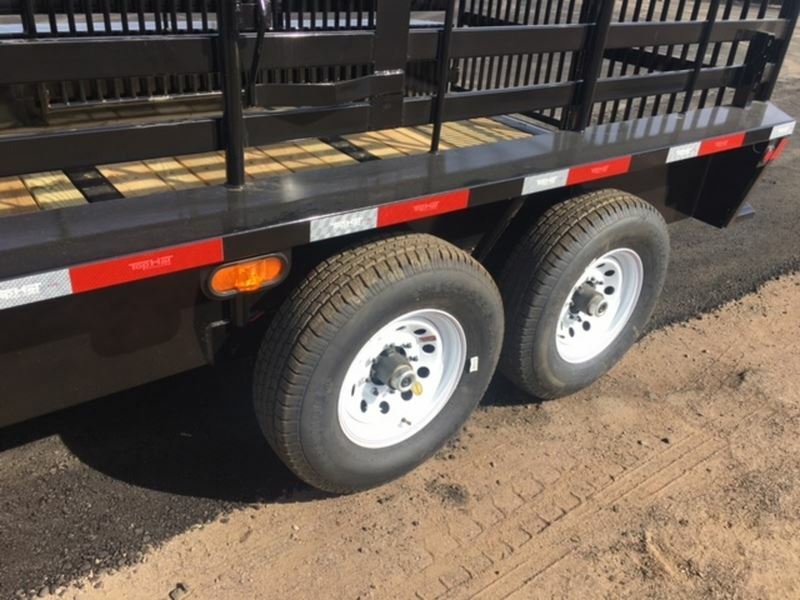 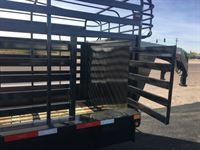 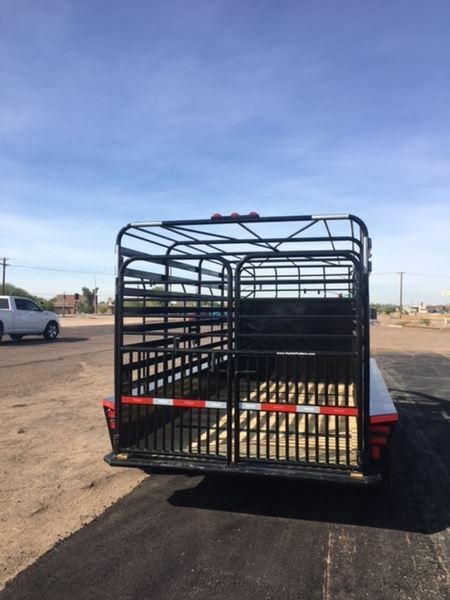 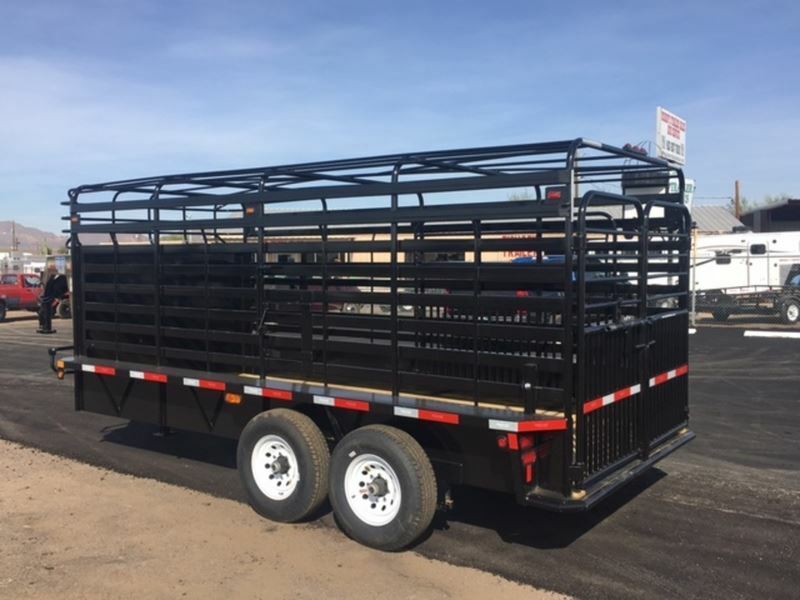 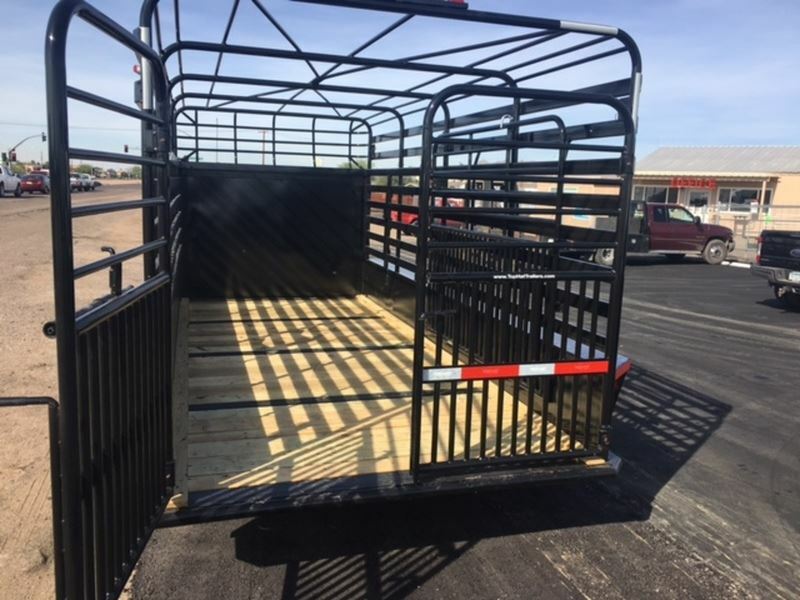 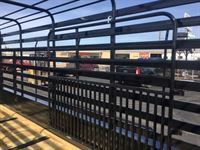 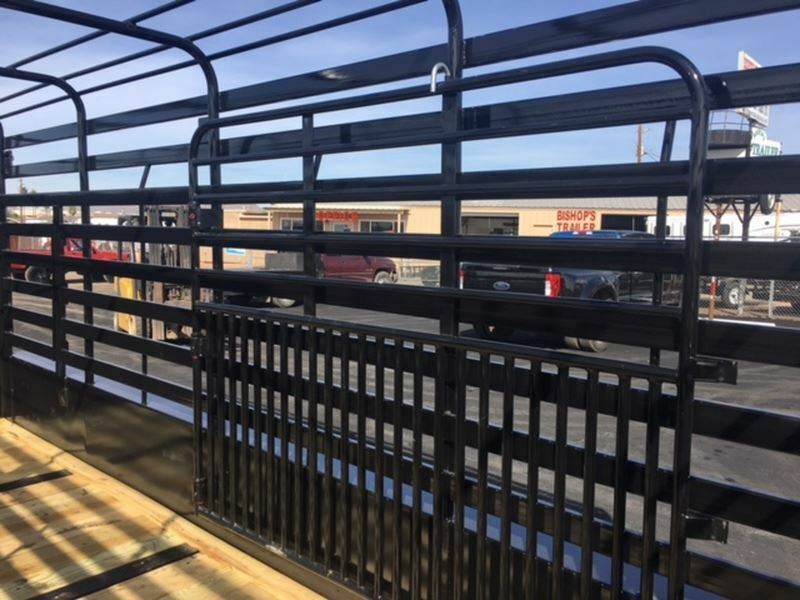 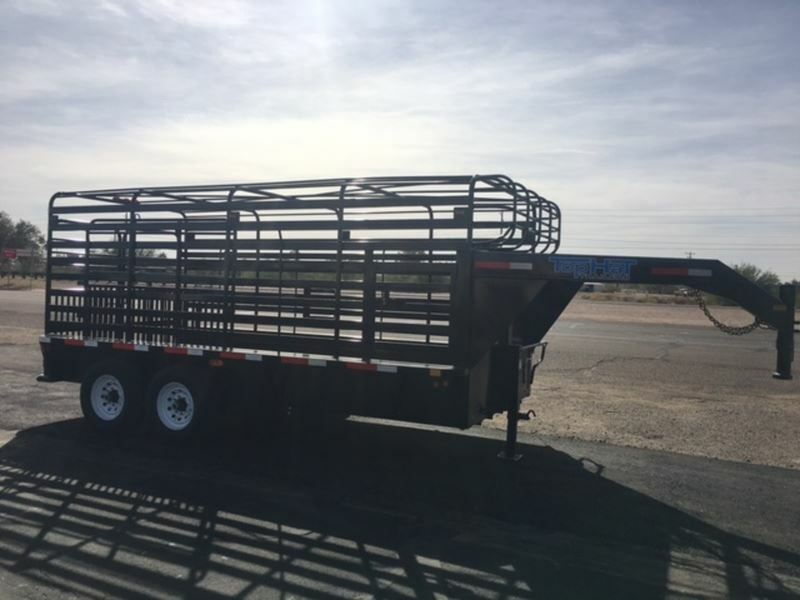 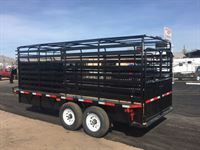 Includes center gate, double back gates, escape door, 16' tires & wheels, full running boards, 1 x 3 inch tubing 8" channel, adjustable 2 5/16 hitch, easy lube hubs, 12K jack, 7K axles & brakes on all 4 wheels.